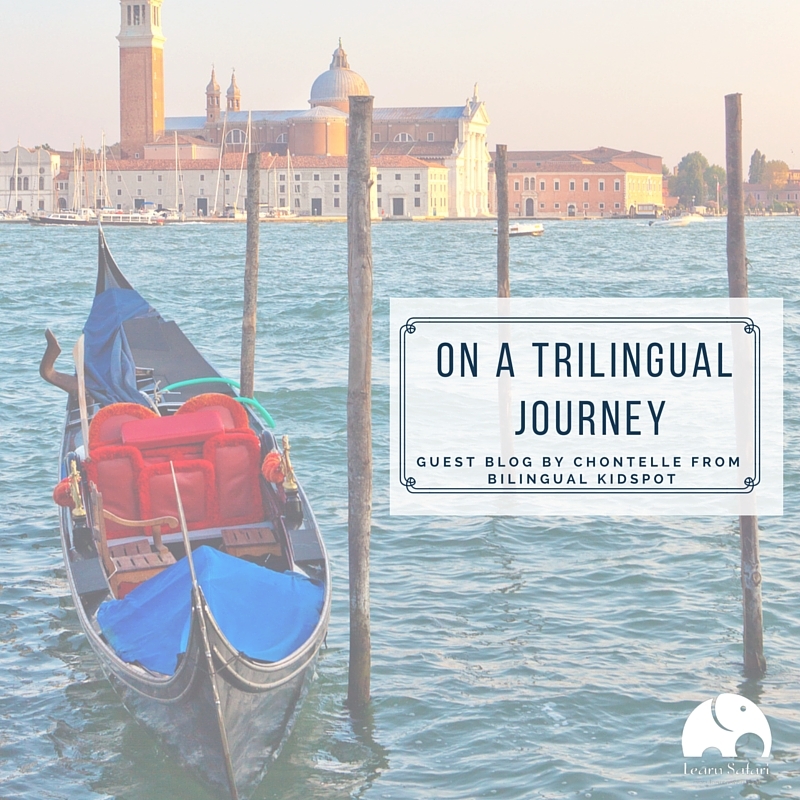 Having been brought up monolingual, I never thought about learning another language until I came to Italy. Living in an English speaking country my whole life, I never felt there was a need to speak another language, because everyone I knew spoke English. As I travelled and met new people, I realised that languages aren’t just about words. A new language is a new culture, a new way of looking at the world, and a new outlook on life. When I married my Italian husband and had our two boys, now almost two and four years old, there was no doubt that we would bring them up to be bilingual; it felt natural to us to speak to them in our respective native languages, so that’s what we have done since birth. Our boys were born here in Italy, and obviously, the common language is Italian. We are following the OPOL (One Parent One Language) approach, where my husband speaks in Italian and I speak in English. Their exposure to Italian is quite extensive, but speaking with me and sometimes over Skype with my family is the extent of their English exposure. My husband only spoke basic English before we met, but he is now quite fluent due to the amount of English that was spoken in our home. Now that his English is better, we are speaking more Italian so that I can practice the language. It has been an exciting experience watching them learn two languages simultaneously. I have worked with many children in the past as an English Teacher and Governess and I have seen how easily children are able to learn a new language. Watching my own children though, is like experiencing it all for the first time. About a year ago we decided to introduce a third language, Spanish, even though neither of us speak more than just the basics. We thought it would be a good opportunity for our children, since Spanish is one of the most widely spoken languages in the world. Knowing what it feels like to learn a language as an adult, we knew it would be best to start as early as possible. However, we didn’t want to give them “lessons” as such, because being so young they are not able to sit and concentrate for too long. Just as they had learned English and Italian from us, we wanted to introduce Spanish to them in the most natural way possible. At first I answered advertisements and called up schools to see if they had any native Spanish speakers that could come “play” with my children, however I had no luck. They only offered language lessons and were more concerned about how much they would achieve in a certain amount of sessions. It was actually by coincidence that I met a local Argentinian girl and she agreed to come hang out with my boys and introduce them to the Spanish language. At first it was a few hours per week, but as the boys got used to her, we set a schedule where she comes at 4-5 days per week for around 2hrs at a time. This gives them a good amount of exposure to the language every week. From day one, Ana (nickname) has only spoken to our boys in Spanish, and even if they spoke back to her in Italian or English, which they did a lot at the beginning, she always answered back in Spanish. Her understanding of Italian helps as she can understand what my children say if they speak in Italian, but she just repeats what they have said in Spanish, and then answers them. We brought some new Spanish books online and Ana and the boys usually read at least one or two stories together every time she is over. Reading stories have helped to reinforce the language and introduce them to new vocabulary. The boys love to read and talk about the pictures and they look forward to story time. We also downloaded some Spanish songs and nursery rhymes, and they sing quite a lot together. Singing every day has helped my children learn different words and has helped a lot with their memory. Even before my son started speaking any Spanish, he could sing a couple of songs word for word. Over the past year my 4 year old has become quite the chatterbox in Spanish and though our little one doesn’t speak much yet, he understands everything and will repeat anything she says. We are looking forward to watching them improve and I hope that one day they will be completely trilingual; fluent in English, Italian, and Spanish. I had many people asking me on a regular basis how we are bringing up our children with multiple languages, and what types of resources we used. These questions are what inspired me to create Bilingual Kidspot, a website which aims to help parents who are on a bilingual or multilingual journey with their children. With information on where to start, helpful hints, tips on bilingualism, and stories of my own parenting journey, I hope to inspire and help families in the same situation. Soon to come I will be providing educational resources for children. I will be reviewing the books, games, and language apps that we use, and providing parents with language activities and print outs to help reinforce the language that they are learning.